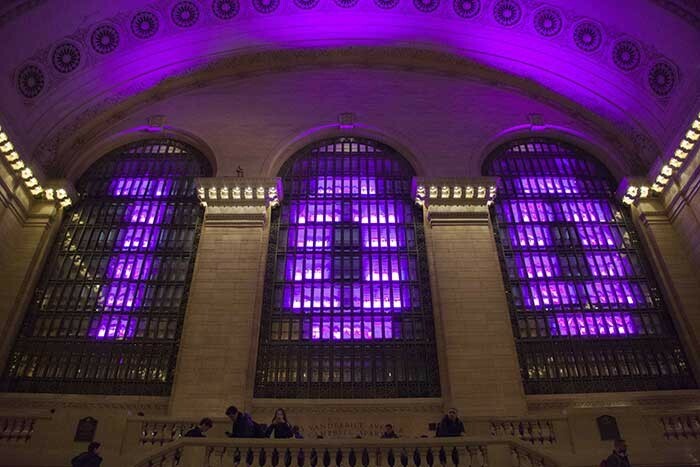 New York - As New York’s Grand Central Terminal celebrates its 100th anniversary, the Metropolitan Transportation Authority (MTA) Metro-North Railroad decided to create a beautiful lighting design for all travellers and New Yorkers to brighten up their holiday spirit. 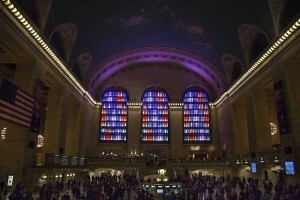 Partnering with Toshiba, a concept for a light show filling the west windows of the terminal was created by designer Michiru Tanaka, displaying coloured patterns and images during the evening hours. 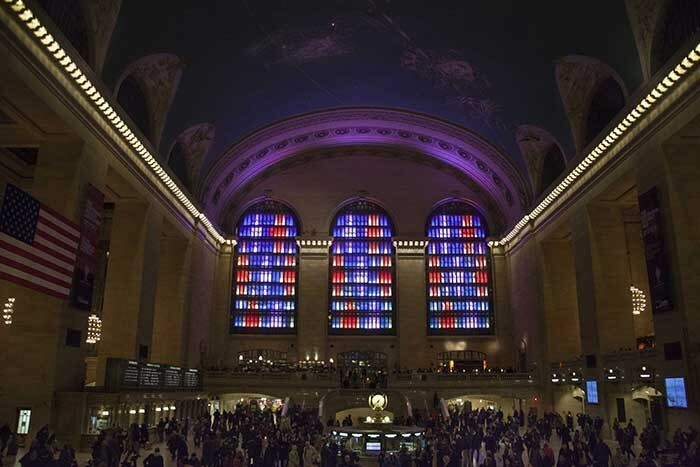 Bestek Lighting & Staging, Inc. deployed an impressive lighting system in the historical building featuring more than 350 of Harman’s Martin Professional lighting fixtures. 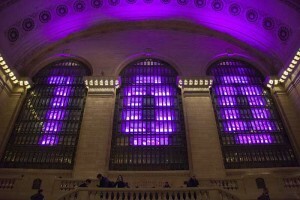 The final installation took three days of adjusting the colour and brightness of the elements. Bright elements pop out of the windows and the dark elements create a touch of color in the fixtures for a background glow in the windows.